Dr. Meldrum graduated at the top of his class from McGill Medical School and developed an interest in infertility resulting from his wife Claudia's own difficulty conceiving. This led him in the direction of treating patients with infertility, as well as resulting in the birth of the Meldrum quadruplets. A sabbatical from ULCA in Australia in 1982 resulted in his learning the techniques of IVF. He is board certified in Reproductive Endocrinology and Infertility. Upon returning to UCLA he set up the UCLA IVF program. In 1986 he moved his program to Redondo Beach where it evolved into the Center For Advanced Reproductive Care, now Reproductive Partners. His early work culminated in the first pregnancy resulting from an ultrasound-guided egg retrieval in the United States. 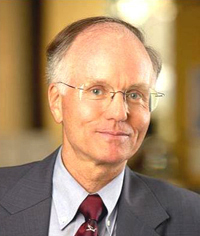 Dr. Meldrum is also a clinical professor at UCLA, a prolific author of over one hundred scholarly articles and papers, a former president of the Society For Assisted Reproductive Technology and Pacific Coast Fertility Society and serves on the editorial board of the medical journal, "Fertility and Sterility." As a national leader in efforts to establish more consistent quality in reproductive laboratories, he was the first Commissioner for Laboratory Accreditation for the College of American Pathologists/American Society for Reproductive Medicine Reproductive Laboratory Accreditation Program. McGill University, Montreal, Canada, M.D.